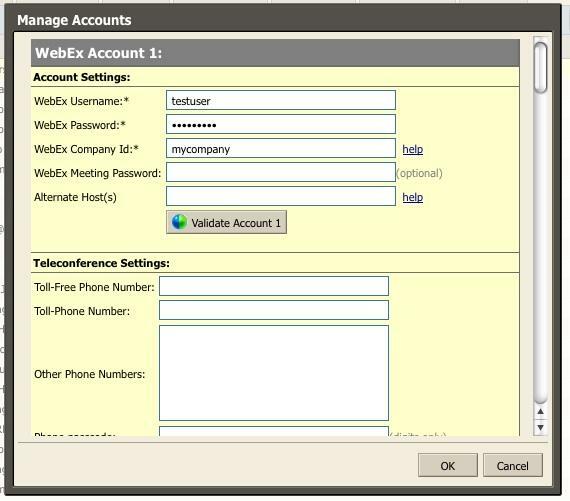 This Zimlet integrates WebEx with the Zimbra Collaboration Suite. The Zimlet allows you to list your upcoming WebEx meetings, as well as host and join a WebEx meeting with 1 click. Drag-and-Drop contacts and appointments to create new WebEx meetings. 3.3 allows users to just 'insert' webex meeting info & allows them to make sure everything look right. 2.4 fixes some bugs and has localization. 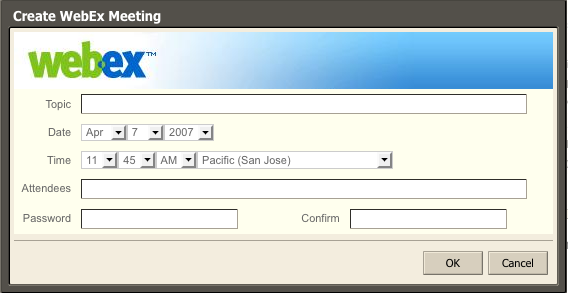 i find it very convenient to have WebEx available right in my Zimbra interface. I also really like when I schedule a meeting in Zimbra, I can click and save as a webex meeting w/o having to switch to the WebEx site. I'm in sales and schedule meetings all day. This Zimlet is a huge time saver! That suggests that this may not be a genuine wrong-credentials message, but just the default message when the credentials fail to validate for any reason, including failure to connect at all in order to validate. This zimlet does not work with Zimbra 7.1.3. The teleconference passcode will be reported by WebEx as invalid and there is no option to use the microphone and speaker. So essentially you can not schedule any meetings that require any kind of audio, which makes this zimlet a bit useless.I contacted support and was told that this zimlet is not supported by them, that I need to contact the author.